Bassoon Wirecraft Figurine – This awesome figurine is a fantastic gift idea for the passionate bassoonist. 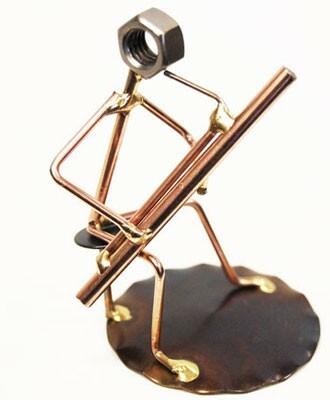 The sculpture is shaped and molded to resemble a bassoon player using various metal and copper materials, resulting with an incredibly stylistic mini piece of art. A great decor accent for the desk at the office or for a table at home. Approx. 2″ W x 6″ H.
Music Gifts for Horns Players!